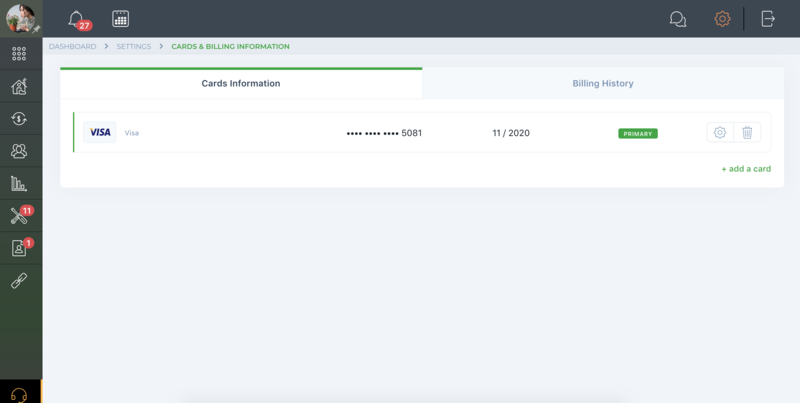 Help Center - Why is my account frozen? Your primary credit card has expired. 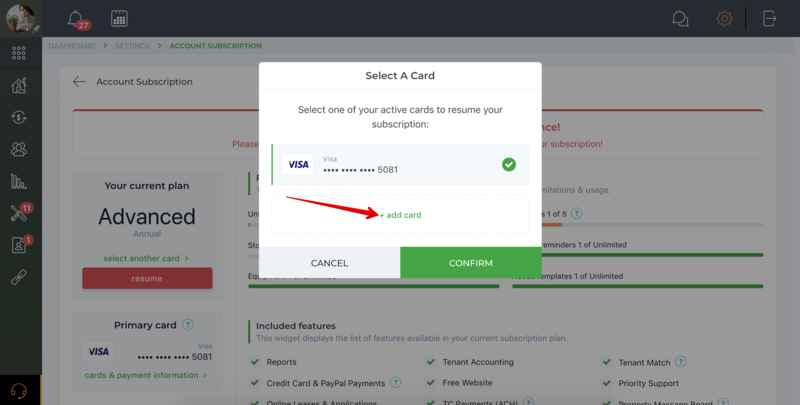 If your account is frozen, you'll be unable to use any features until the payment is processed. 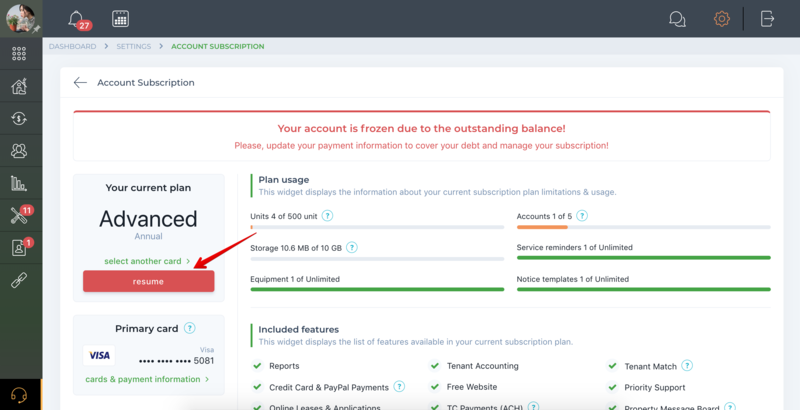 Update your payment information, process payment for the outstanding balance, and then you can resume and manage your subscription. 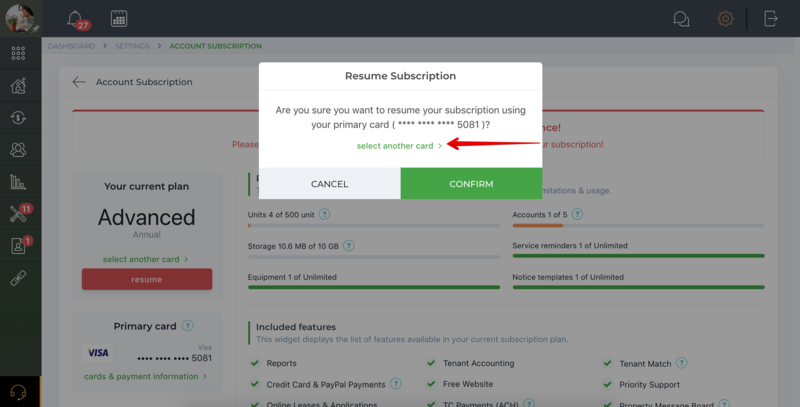 If you resume your subscription using one of the backup cards, this particular card will become primary and will be used for automatic subscription charges in the future.